This course provides a detailed look at how the ISA/IEC62443 standards can be used to protect your critical control systems. It also explores the procedural and technical differences between the security for traditional IT environments and those solutions appropriate for SCADA or plant floor environments. 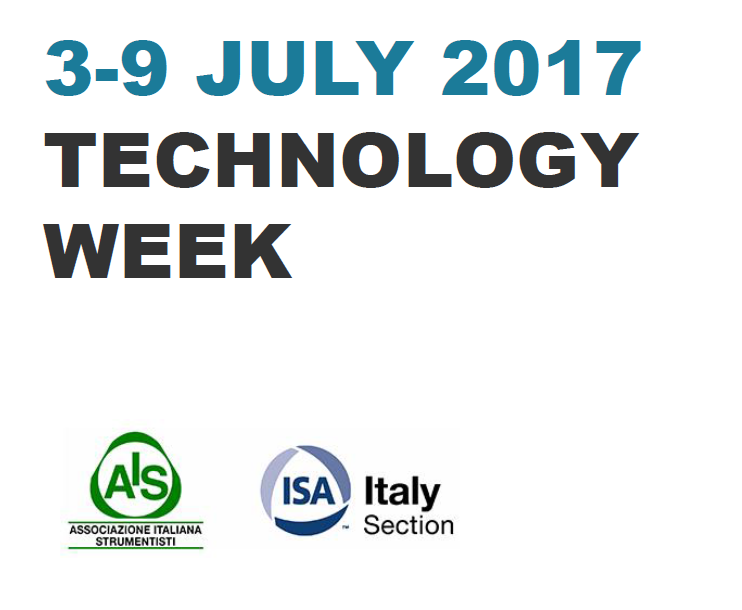 The Automation Instrumentation Summit® will take place in Castello Belgioioso near Milano, Italy, on July 5-and 6, 2017. The worldwide recession can become an opportunity for us to look at what we have done so far, and identify the best stra-tegies for future improvements. The manufacturing companies will have the opportunity to showcase their pro-ducts and solutions at the stands of the exhibition area whereas the speakers will present their papers based on case histories and share common experience with all the other expertise during the AIS- ISA Italy conference. To overcome the recession, the market has to better understand the needs of end users and customers. Through the presentation of case histories, conference attendees will gain knowledge of technological advances in automation and applied process impro-vements. We are delighted to announce the launch of the first edition of the “Ideas 4 Automation Awards” to be celebrated at the upcoming event “Automation Instrumentation Summit”, that will be held on July 5-6, 2017 at Castello Belgioioso, Italy. The participation to the award is open to all the students (undergraduates of any degree and Ph.D. candidates) who want to share which is their “Idea for Automation”. Students won’t be asked to realize their Ideas, but just how an Idea could be eventually realized. Each Idea has to be inspired by at least one of the themes of the conference. The ceremony will take place at the July 5-6 meeting. A first selection among all the participating Ideas will be done before the conference. All the students of the accepted Ideas will have the chance to attend the conference for free. The prizes will be given only to students who attend the conference. The presented ideas will be judged by the scientific committee of the conference. The ISA District 12 Leadership Conference 2017 (DLC 2017) will gather leaders, delegates and members of the International Society of Automation local sections from Europe, Russia, Middle East and Africa (EMEA). The Conference will be held at the Tocq Hotel, Via Alessio di Tocqueville 7/D. The hotel is located near the station of Milano Porta Garibaldi, the lifeblood of the city development. The aim of the DLC is to increase everyone’s knowledge of ISA to help Sections grow, to network with other ISA members and…. have some fun. Tourism in Italy is a kaleidoscope of endless possibilities. In these days ClupViaggi will be the travel agency partner for leisure arrangements for all AIS – ISA Conference and Exhibition partecipants.